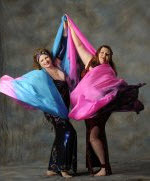 The Desert Moon Dancers will be attending Amaya's workshop and performing in the evening showcase. Showcase tickets are $10 (FREE To workshop participants). Ayshe - "Wings over Connecticut"
Ayshe is a New York dance artist, choreographer, and designer who blends Greek and American heritage to create an exotic and unusual style. She has trained extensively in classical ballet, modern dance, yoga, and numerous ethnic dance forms - particularly Middle Eastern, ancient Pharaonic, and Indian. She holds a B.A. from Hunter College in Dance & Human Movement, Archaeology, and Middle Eastern Studies. Wings were originally used for costuming in Las Vegas acts and Caribbean carnival parades. They found their way into Middle Eastern dance as a means to depict the Egyptian goddess, Isis, who appears on ancient wall paintings with large bird wings. 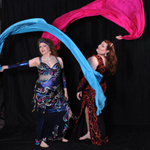 Ayshe is responsible for the initiation of use of "Wings of Isis" as a spectacular belly dance prop that transforms a dancer into a vision of a winged goddess. Her instructional DVD, WINGS: THE COMPLETE TECHNIQUE, is the only one of its kind, fully describing and teaching, step by step, the movement vocabulary that Ayshe has created for dancing with wings. 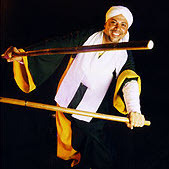 Farasha and Su’ad are proud to sponsor this innovative and creative dancer and teacher. Whether you have used wings before, or this is your first time, this workshop will provide you with techniques and movement combinations to enhance your own dance using “Wings of Isis”.